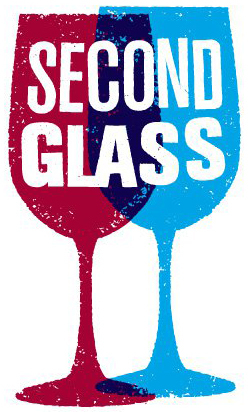 Following the great success of the Wine Riot (#WineRiot) events in Boston, Washington D.C., & Chicago, Second Glass (Twitter, Facebook, Vimeo) is bringing their riotous event to the great cities of San Francisco & Los Angeles. I will be front and center at both with our newest Le Wine Buff, Sam Klingberg (Twitter, Facebook), by my side as we sling the tastiest of affordable Bordeaux (Twitter, Facebook, WineLog) to the vinous masses. The Bordeaux crew have already hit up the first three Wine Riot events this year, with my boy Sam getting his kicks in before me, repping his home ChiTown. So what exactly is a Wine Riot and how does one partake in this wine drinking tasting event? Leave it to the crazy peeps at Second Glass to provide a riotous guide for the multitude of activities in which each vinopanion can partake. More deets after the break! My super fine readers would have to be asleep not to know about my longtime wine project as Le Wine Buff (WineLog) for Enjoy Bordeaux (Twitter, WineLog). Well, recently I sat down to lunch with reporter Ryan Flinn alongside my fellow ‘Buff Rebecca Chapa (Twitter, Facebook) and we discussed our efforts to get the word out about the quantity of affodable, high quality Bordeaux wine. Lo and behold, Ryan Flinn put together a great article discussing just how relevant affordable, high quality Bordeaux wines within the context of the sky-rocketing prices of über-premium wines due to the rise of fine wine culture in China. The article has already been picked up by Bloomberg, BusinessWeek and SFGate, so check it out at any of the prior links. Cheers! At this point, my regular readers should know quite well about my participation in the cra cra known as the North American Wine Bloggers’ Conferences (Twitter, WineLog). We’re coming up on the 4th in this great series, after the huge success in 2008, 2009 and 2010. 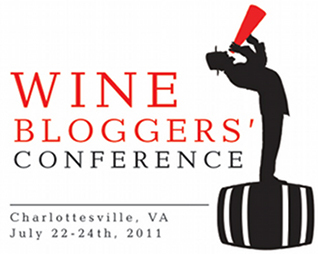 This year we’re invading Charlottesville, Virginia for our very first time plundering the wine life on the right coast (and East Coast wine bloggers rejoice). The state of Virginia has been exceptionally supportive and I’m looking forward to learning a ton about 5th largest wine producing state in the Union. Between the Keynote from Jancis Robinson (Twitter), the Virginia Wine (Twitter) Reception at Thomas Jefferson’s Monticello for dinner on Friday, another Keynote from Eric Asimov (Twitter) and the annual Vineyard walks in the local wine country, #WBC11 looks to be just as stunning a time as years’ past. Today’s Bordeaux is in New York City?! My regular readers know that the Enjoy Bordeaux Le Wine Buff’s took NYC by storm a couple months back, helping host the Snooth and Ziff Davis TechEnology event, back at the end of March. It was there that we battled the East Coast urban prejudices against affordable, quality Bordeaux and taught them who’s boss. Well the Buffs are headed back the East Coast to jury the 2011 Today’s Bordeaux: Top 45 Affordable Bordeaux Under $45 and I have to say, it’s gonna be great. For when Bordeaux hits the Big Apple, it’s sure to be culinary and vino awesomeness! So as it turns out, New York is a pretty damn cool place! My first time in NYC was filled with as much sightseeing, vino networking, shopping, eating and drinking as one could possibly fit into 3.5 days. I was in the city for the first time on another adventure as Le Wine Buff for the Bordeaux Wine Council (CIVB)’s Enjoy Bordeaux campaign, on a fully paid business trip. While the point of the trip was to attend the Snooth & Ziff Davis TechEnology event and talk about the full awesomeness of affordable Bordeaux wine alongside my LWB colleagues, I was determined to experience as much NYC as I could handle…and I succeeded. 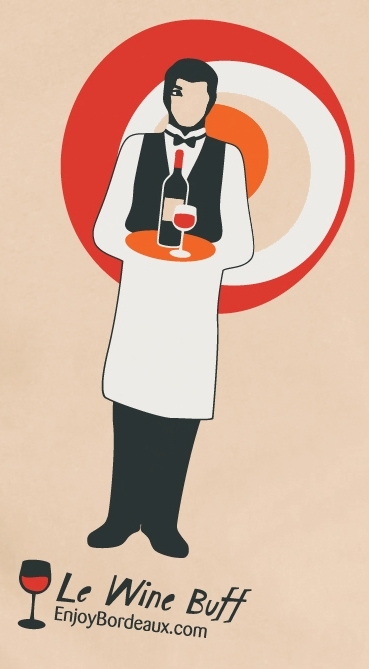 Enjoy Bordeaux‘s Le Wine Buffs are back and we’re thirsty. This time we’re taking on New York City and Manhattan is gonna stumble down in a vinous frenzy of affordable Bordeaux wine! We’re the wine sponsor for this year’s TechEnology wine event held by Enjoy Bordeaux partner Snooth and tech media publishing titan Ziff Davis. Held at the newly renovated General Assembly, the event will mix some of the icons of tech, publishing and the wine biz and look to do some serious vino mind melding. I’m excited to be pouring and talking about these wines at the event because I think Bordeaux is coming into another renaissance of exposure for it’s thousands of high quality, affordable wines and their Chateaux, all across the greater appellation. Much of this belief was built during our visit to Bordeaux last summer. This event promises to be “a private, networking event recognizing the wine world’s most technologically forward people, business and practices”…and these are the peeps that need to know Bordeaux! See you on the Right Coast vinopanions, and cheers! 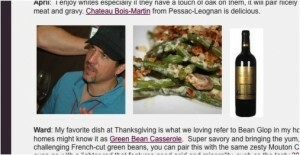 Having trouble pairing Thanksgiving yums? …then let Le Wine Buffs do it all for you! It’s that time again, where everyone eats hours earlier than usual, groans, collapses around 7pm and then finishes up the late night with a whole new plate, yup…it’s Thanksgiving! I’ve spent *months* coming up with painstakingly precise food and wine pairings for my portion of this article, literally until all of the skin was…ok, you’re right, I didn’t. In reality, I sat on the couch and drooled, thinking of all of the super tasty dishes that I had every year growing up, lovingly prepared by my supermom, Mama Donna. Affordable Bordeaux in 2010: FTW! I don’t think it’s any surprise to you fine readers that I’m a big fan of Bordeaux and even work for the Bordeaux Wine Council (CIVB) as one of Le Wine Buff, video broadcasting each week from my vino-abode. 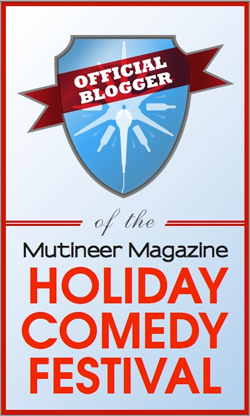 Well the kids at Enjoy Bordeaux (Twitter) have hatched an incredibly rad new plan to create some fun on the interwebs, with oh, maybe a prize that might require a flight or two, woot! I don’t want to spill alll the deets, but suffice it to say: it will be fun, it will be a contest on their Facebook page launching 11/15/10 (where you currently can see the awesome documentary short of our BDX trip in June), the prize is flippin’ awesome and you can get some of the gist by checking out my personal addition to the shizzy after the jump. You’ll even find some wines taking home a WKBadge for their efforts. Cheers!